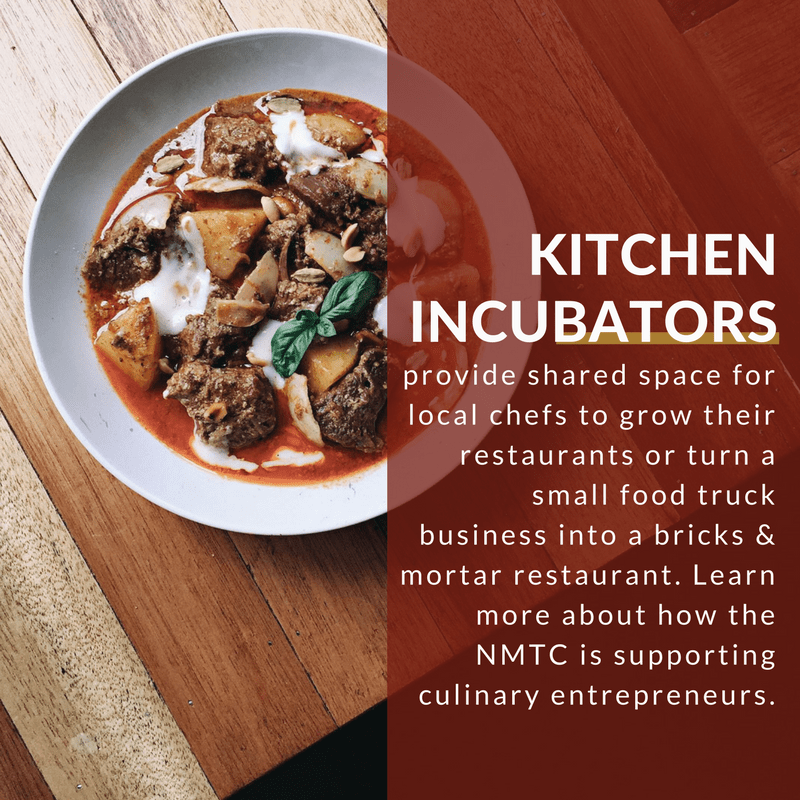 Kitchen incubators provide shared space for local chefs to grow their restaurants or turn a small food truck business into a bricks and mortar establishment. 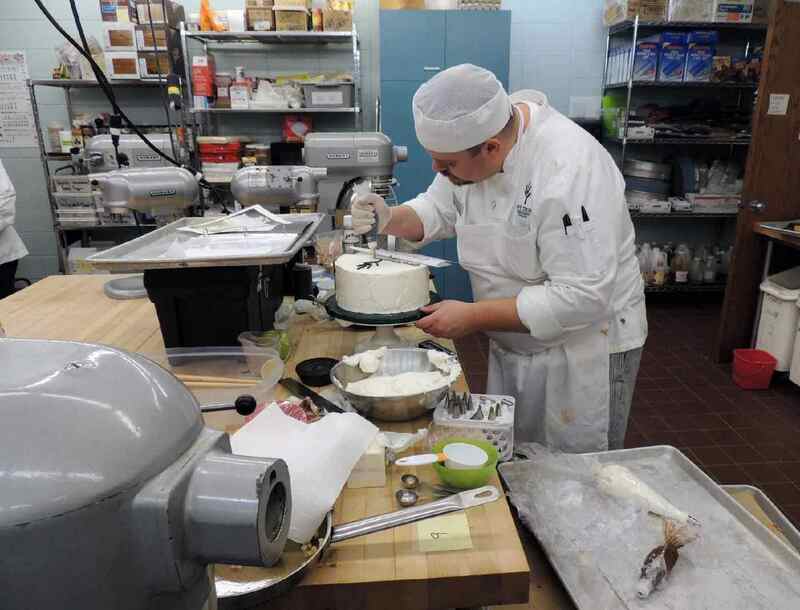 Below is a collection of stories about how the NMTC has supported culinary entrepreneurs. The LA-based “apartment building for food companies” bought a Galewood industrial complex as first facility outside California. 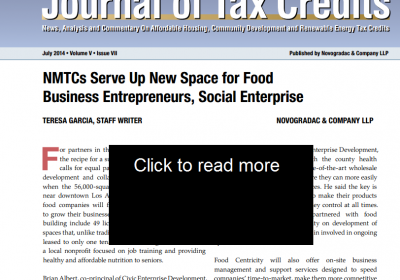 A Los Angeles company that rents dedicated food-production spaces to tenants ranging from startups to national companies is opening on Chicago’s Northwest Side, its first location outside California, thanks in part to financing from the New Markets Tax Credit. Enterprise Community Partners and Chase financed a mixed-use project in the Bronx that includes, among other things, a café called BOOM!Café, which will double as a community space and workforce training center on the ground floor. 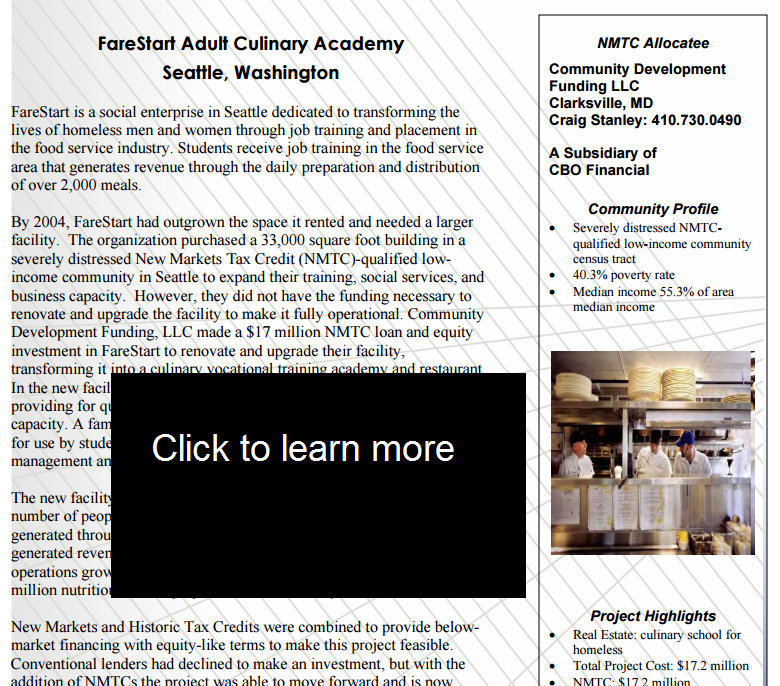 BOOM is working with Catalyst Kitchen, an incubator of food service social enterprises based in Seattle, to establish a training program and business model for the café.